Ancient Structure On Mars Is 1.8 KM Long! 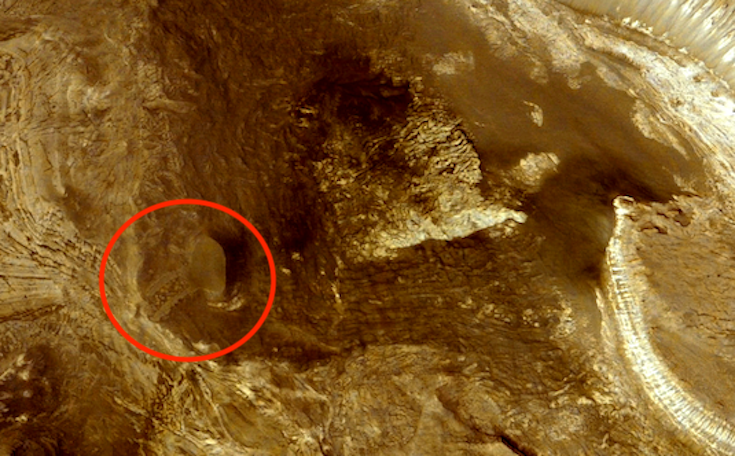 Found On Google Mars Map, May 2018, UFO Sighting News. I found this ancient structure on Mars using Google Mars Map. According to Google ruler, the structure is .35 km tall and 1.84 km long. That is one massive building. There are also two roads or ramps that lead away from the structure. The building has a flat smooth top, possible for landing something on top of. Defiantly gives astronomers a lot to think about with this one. Previous Post:Newest Crops Circle Found In Wiltshire, UK On May 2018, Video, UFO Sighting News.